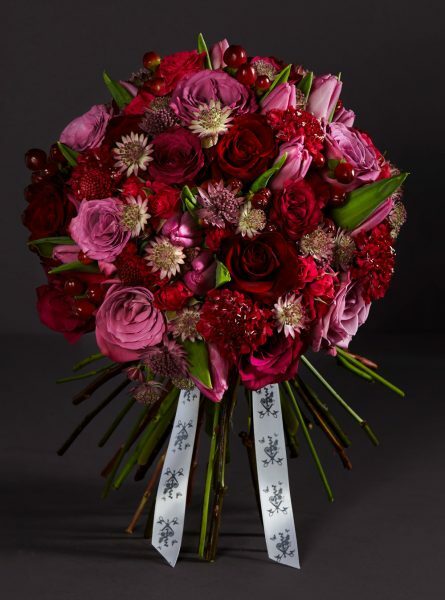 A deep, rich and luxurious jewel toned spring bouquet featuring velvety red roses, large berry coloured roses, tulips, astrantia & textural hypericum berries. 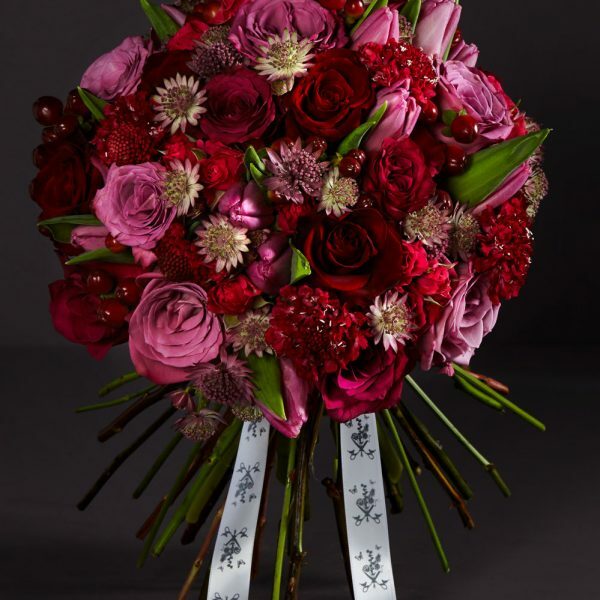 A veritable tapestry of tones, this bouquet is the perfect luxurious gift. A minimum of 20 flower stems in the medium, 40 flower stems in the large and 60 flower stems in the deluxe will feature in our luxury online bouquets. 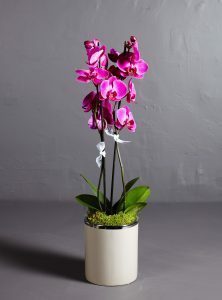 Image shows deluxe sized bouquet. 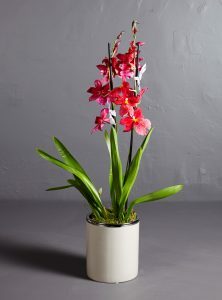 Smaller sizes contain foliage to maintain a generous size. Thoughtfully designed and beautifully created, each of our luxury bouquets are hand tied by our team of skilled florists with our signature ribbon and presented in our elegant white signature box along with handfuls of tissue paper and chic protective cellophane. Care instructions and a hand written notecard are included with every order and a personalised message can be added during the checkout process. All our flowers are sent in water gel to keep them perfectly hydrated.